The Sphere Executive Board welcomed a humanitarian standards initiative focusing on older people and people with disabilities as the newest member of the Humanitarian Standard Partnership. The Humanitarian inclusion standards for older people and people with disabilities were developed by the Age and Disability Capacity Programme (ADCAP). ADCAP is a project of the Age and Disability Consortium, a group of seven agencies working to promote age and disability-inclusive humanitarian assistance. The standards offer guidance to ensure older people and people with disabilities are included in humanitarian response; they consider people’s capacities and needs and affirm their rights to access, safety, and dignity in humanitarian response. In 2017, ADCAP put forward a request to the Sphere Executive Board to formally join the Humanitarian Standards Partnership (HSP). The Partnership is a coalition of humanitarian standards initiatives which share a similar rights-based approach and are developed in a broad consultative, consensus-based manner. Its aim is to harmonize different sets of humanitarian standards and to encourage their implementation. ADCAP’s application was examined by a Review Panel, which included members of the Sphere Executive Board as well as of the HSP, and formally accepted during the Sphere Board’s May meeting. 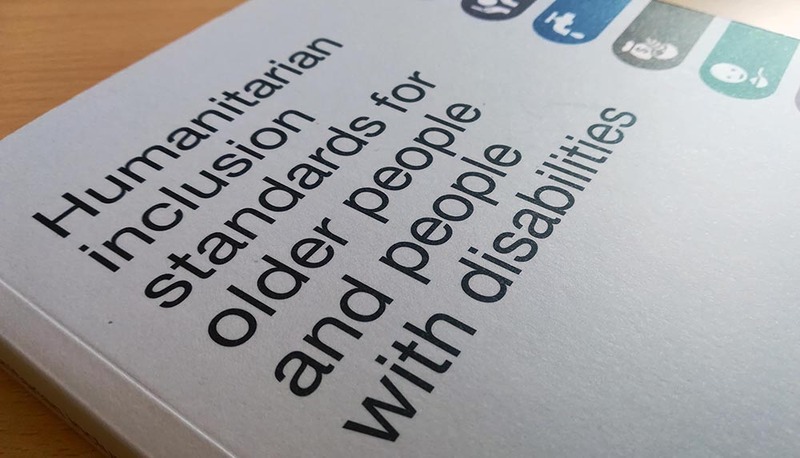 The Humanitarian inclusion standards for older people and people with disabilities, the Board found, will provide specific guidance on an area that is only partially covered by the other HSP initiatives and will fill the existing gap in addressing the needs of older people and people with disabilities. “The Humanitarian inclusion standards for older people and people with disabilities are based on the same beliefs which inform the Sphere movement: the affected communities’ rights to assistance, to dignity, and to be effectively included in humanitarian response planning”, said Christine Knudsen, Sphere’s Executive Director. “Their implementation will prove crucial to ensure humanitarian assistance is impartial and truly accessible to all”. In the coming months, the Humanitarian inclusion standards for older people and people with disabilities will also become digitally accessible on mobile phones through the HSP’s mobile application.